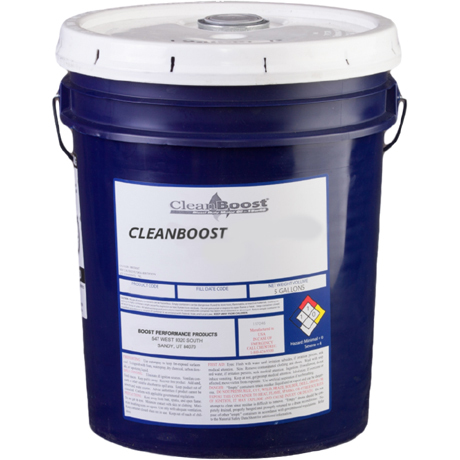 CleanBoost 15w40 Performance Oil (5 Gallons) - ON SALE! Get a 5 gallon pail of CleanBoost 15w40 Diesel Duty engine oil by Combustion Technologies, recommended for diesel engines using high sulfur or low sulfur fuels. 15w40 is also recommended for use as an extended drain motor oil and has a high alkaline reserve (TBN) that protects bearings and other engine surfaces from the corrosive effect of acids formed by the combustion of sulfur fuels. Contains the patented CleanBoost EMT (Engine Metal Treatment) technology to reduce friction, operating temperatures, and create a better film strength.